KayCei Moton-Melancon Melancon is a junior Biology Major and a first year member of RISE from New Orleans, LA. While at Spelman College, she has been involved in several research projects. Her first experience was through Morehouse College on the project entitled “Evaluating the Effects of Diabetes in the Distribution of Sodium Channels on the Sciatic Nerve in Rattus norvegicus ”. During the summer of 2015 through Spelman Colleges’ GSTEM Program, she traveled to Madrid, Spain where she worked under the mentorship of Dr. Mercedes Careche on the project entitled “ Evaluating the Effects of Muscle Quality in Merluccius merluccius at Different Freezing Condition”. Currently, KayCei is working at Georgia State University where she conducts computational neuroscience research under Dr. Gennady Cymbalyuk. 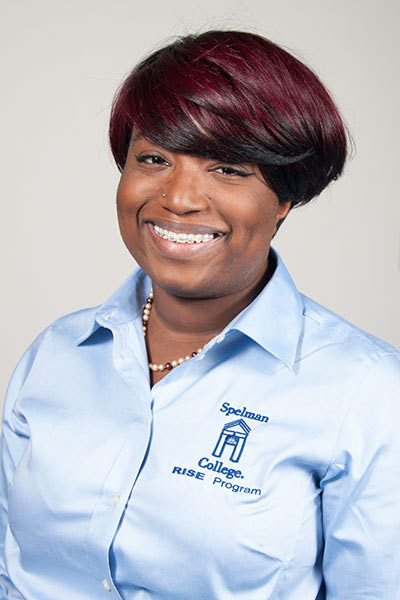 KayCei is always willing to help her Spelman sisters and she shows this through her commitment to the Biology Department as a Tutor in the course Biological Systems Form and Function, as well as, providing peer advising through the health careers office. In the future, KayCei hopes to become a MD-PhD where she will utilize her translational research skills to improve treatments and medicine within the field of neurology.